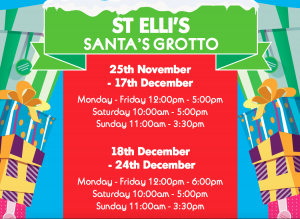 Father Christmas and his fantastic elves arrived at St Elli shopping centre in Llanelli to give you and your family a magical Christmas experience during the festive season. 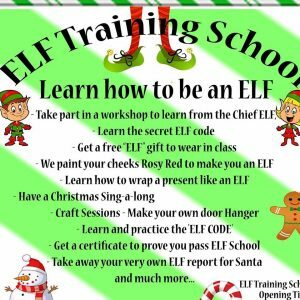 We had a selection of activities for you and your little ones including a magical Christmas Grotto for those who wish to visit Santa and an Elf school to get everyone Elf ready ahead of 24th December! !